CRAZY DISCOUNT! Was: $259.95 Now: $99.88! Fall into pleasant slumber and enjoy rejuvenated life with king size memory foam topper . 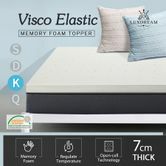 The mattress topper is ventilated to increase air flow and regulate sleeping temperature, keeping a cool and comfortable sleep experience the whole night. 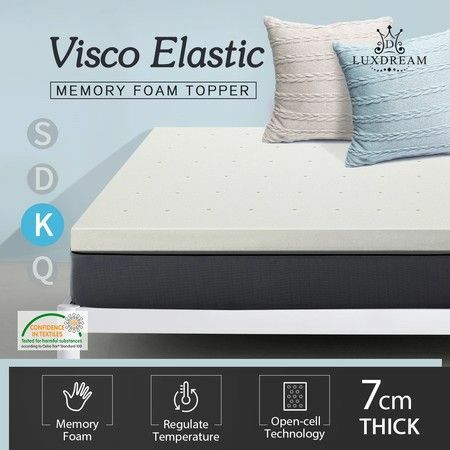 Crafted from quality memory foam, the topper will evenly distribute your weight for extraordinary pressure relief and body support. The foam mattress topper is anti-microbial and stain resistant, ensuring you have a healthy night's rest. 183 x 203 x 7cm approx.